For a great range of security training options contact Tactical today. *Please note that occupational security licensing requirements vary in different states. Always check with local security licensing authorities for details or contact us to discuss this further. At Tactical, we assist a wide range of clients, such as those who may be choosing to embark on a career change, those forced into a career transition, those just starting out in the workforce and people experiencing problems associated with long term unemployment. This industry offers opportunities in a variety of roles from security guarding, crowd control, retail loss prevention and a range of other roles covered within our security courses. This course has proven to be a life changing experience for many of our graduates. Our motto, REALISM IN TRAINING ensures that our training is reality based, giving you the job ready skills employers require. Tactical connects with major employer groups across the state, and with their support, we provide you with opportunities in all areas of the security industry. We provide a range of competency units to meet a wide range of employment opportunities at no extra cost. No matter what your circumstances are, our friendly staff at Tactical are waiting to help you choose the security course that is right for you. "Information was explained and conveyed clearly and promptly… Staff are friendly and professional. They know what they are doing." Download the PDF: pdf Certificate II Security Operations (330 KB) . Need Cert II and Cert III in Security Operations? 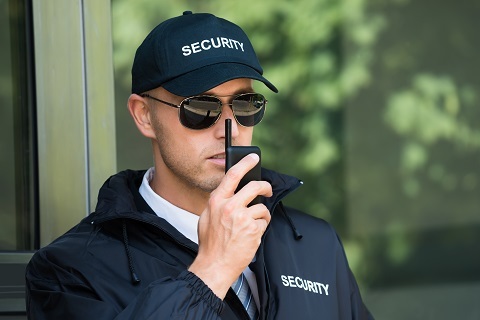 In South Australia, Certificate II in Security Operations is mandatory for security guarding and crowd control licensing, but did you know there are some security roles and employers that need you to also have Certificate III in Security Operations? Easily up-grade to the CAREER PACKAGE, our dual Certificate 2/Certificate 3 Security Operations option. This program is customised to provide higher level skills such as practical fire fighting and accreditation such as Emergency Response Fire Warden.